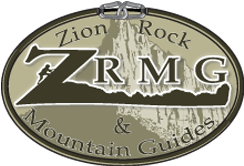 Canyoneering – Climbing – Biking – Hiking……we’ve got you covered. We’ve designed multisport and multiday trips that take in the very best of what Southern Utah has to offer. These pre-packaged trips include lodging and meals for your entire adventure with us. We offer four and six-day adventures that include mountain biking, climbing, canyoneering, hiking and just having fun. Take a look at the packages below and find one that works for you and your group.